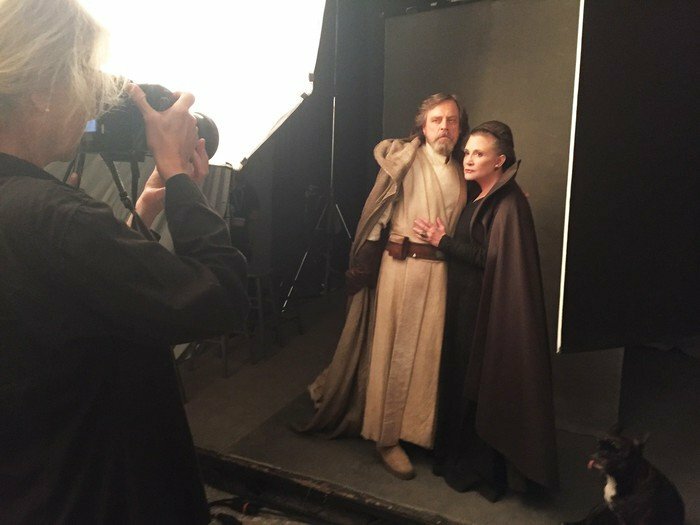 Late last month, Vanity Fair blew the lid off Star Wars: The Last Jedi with a series of beautiful portraits featuring Rey (Daisy Ridley), Kylo Ren (Adam Driver), Luke Skywalker (Mark Hamill), and General Leia Organa (Carrie Fisher), not to mention first looks at Benicio Del Toro and Laura Dern decked out in costume. 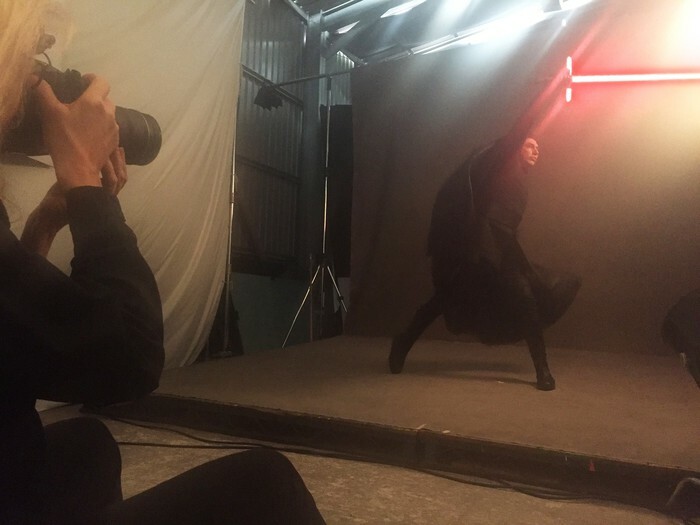 It proved to be a rather poignant photo spread given the tragic passing of Fisher, and now, Lucasfilm boss Kathleen Kennedy has unveiled another four images that take you behind-the-scenes of that photo shoot in question. 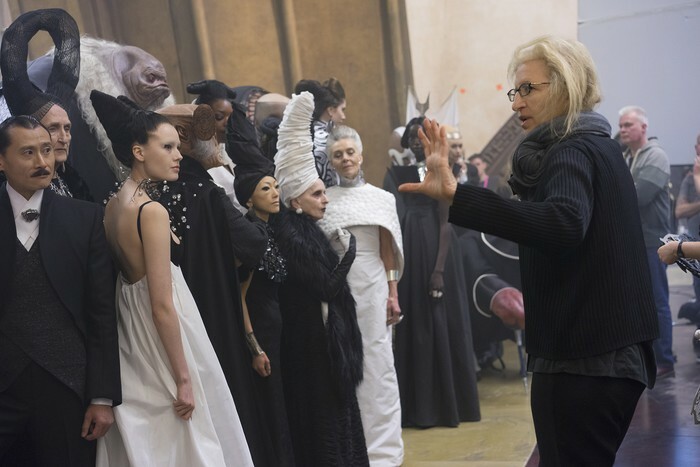 Embedded below, you’ll see photographer Annie Leibovitz composing a shot involving a group of well-to-do aliens attending some form of gala/dinner party. From what we understand, this is a scene that takes place on the casino planet of Canto Bight, which The Last Jedi director Rian Johnson has described as a “playground for rich assholes.” His words, not ours. 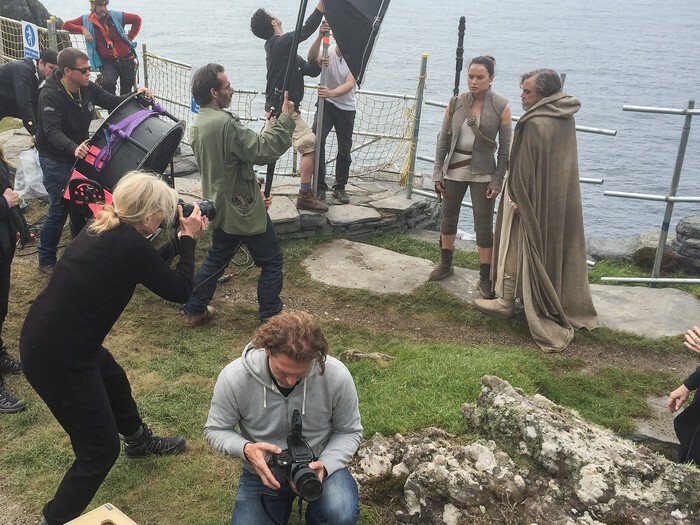 Other photos include a shot of Rey and Luke taking a break from their rigorous training aboard Ahch-To and, perhaps the most touching of the lot, Carrie Fisher and Mark Hamill recreating that famous pose that once headlined the marketing material for A New Hope all those years ago. Now that Star Wars: The Last Jedi is cruising toward the finish line – Johnson estimates that production should be all wrapped up by the end of summer – fans are beginning to wonder when Disney will choose to unveil the sequel’s full-length trailer. To date, we’ve only caught a glimpse of a fleeting, yet wondrous teaser, so there’s every chance the Mouse House has a little surprise up its sleeve in anticipation of D23 next month. Star Wars: The Last Jedi will look to continue the Skywalker saga on December 15th of this year, before Disney breaks off into the Star Wars anthology series for Ron Howard’s Han Solo origin movie. It’s a film that had reportedly been beset with production woes for the past few weeks, which all came to a head with the firing of Phil Lord and Chris Miller. The LEGO Movie duo look set to land on their feet, though, what with reports linking them to The Flash at Warner Bros.